This extraordinary green thee makes you think of grandma’s delicious vegetable soup. Broccoli, cabbage and carrot have been spiced up with olive leaves, parsley and nutmeg. Would you like to be kind to you body? 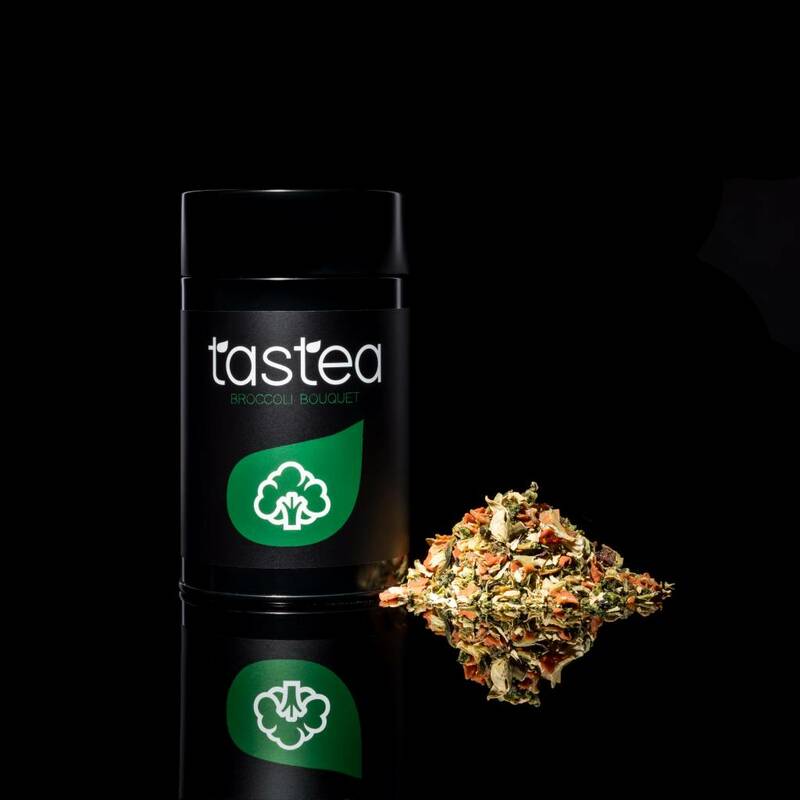 The broccoli tea is exactly what you’re looking for! Get surprised by the fantastic beauty powers of broccoli. This broccoli tea is also highly suited for cooking. To read about the experiences of satisfied customers, you can click on 'reviews' to see what they have to say. Tip: Get inspired by these ingredients and make a quiche. Broccoli, cabbage, carrot, peppers, parsley, savory, spirulina, nutmeg.